Meet Kevin Staines, Muckrach’s new General Manager who joins us with a wealth of knowledge, experience and a fun-loving attitude to life (required for the hospitality industry if you wish to remain sane!). Kevin’s career in hospitality began early and when asked what drew him to the hospitality industry his response (with a sense of humour as always) was that he “wasn’t old enough to join the police force! !” Kevin’s career has spanned a mixture of working for privately owned hotels and corporate, focussing strongly on Food & Beverage, weddings, staff training & development, and a little bit of running his own business with his long time friend. Kevin states that his greatest achievement is meeting his partner Lynne, earning him a few brownie points there! Kevin joined us at Muckrach only 2 months ago, drawn to the hotel because of “the ambition and passion shown by the owners, and that it is a lovely hotel.” We were drawn to Kevin because of his positive attitude and drive to make Muckrach the place to come to in Scotland. He wishes to deliver consistency in our Food & Beverage operation, develop the team and watch them strive in their own careers. This is only the start of his ambition and enthusiasm for all that can be achieved at Muckrach, ultimately ensuring that you have the best experiences and a desire to return time and again. 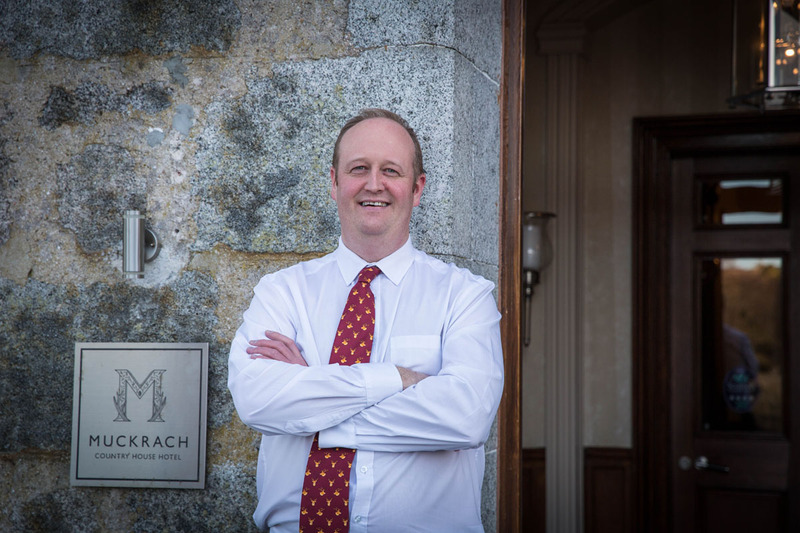 We wish Kevin luck in his new role and we are excited to work with him in making Muckrach Country House Hotel even more desirable.